With a new online casino appearing almost on a daily basis, it’s difficult to understand how casinos are still making money. Although the industry is becoming more competitive due to the number of UK online casinos offering all types of casino games online, casinos are still raking in profits. The main reason for this is, regardless of how many players sign up to an online casino, the house always wins. This expression is a fairly common one, but what does it really mean? To put it simply, casinos always have a greater chance of winning than the players, this is no secret and it is the way it has always been. Every casino will have a statistical advantage over the player on all of the games on offer, this isn’t usually a huge advantage but it’s enough for casinos to continuously profit. All casino games allow players to win but over time the casino will take a healthy profit. Casinos rarely have to worry about players winning, this is because of the ‘house edge’ meaning that they will always profit. Looking at this in more depth and using Roulette as an example, for every £1 million bet on a 00 roulette table, the casino is making just over £50,000 in profit. This is because of the way in which roulette odds work in the casino’s favour. In roulette the highest payout odds are 36/1 for betting on a single number, however all roulette wheels have a 0 or sometimes a 00 too, meaning that the odds are truly 37/1 or 38/1. Regardless of this, a casino will never pay more than 36/1 for a roulette bet, meaning that over time the casino will profit. Although some players believe that they can beat the casino, ultimately they can’t. It is possible to profit from casino games, but the longer that a player spends on a particular game, the more likely they are to walk away empty handed. In land based casinos, there are strategies in place to make this happen. For example, most casinos will offer free drinks to players which will usually keep them playing for longer. Additionally, land based casinos are known for having no windows or clocks, which means players are more likely to lose track of time. 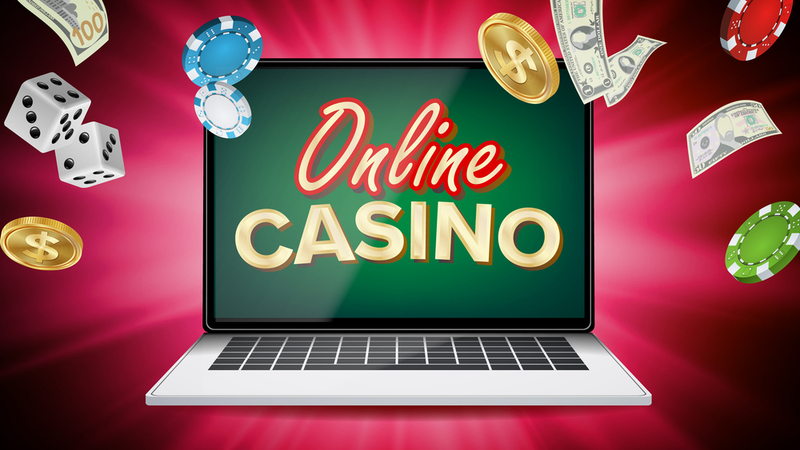 Although online casinos differ greatly from this, there are still ways to keep players playing for as long as possible. For example, some casinos have a reward system in place where players can earn points to exchange for cash based on their play. Roulette has a house edge of around 5 percent, while slots are significantly higher at 17 percent, this doesn’t mean that every casual player is destine to fail however. As stated previously, the longer a player spends playing a game the more likely they are to lose. This means that a profit can still be made in the short term, for casino regulars however, this is unlikely. This doesn’t apply to ‘advantage players’ who do have a greater chance of profiting in the long term. An advantage player is one that use legal tactics to increase their chances of winning and an advantage over the house, in a land based casino this can be by counting cards, or by using particular dice throwing techniques in a game of craps. Online however, some advantage players may choose games like video poker that have a lower house edge and can be more easily manipulated with the right strategy. Although the house edge will always be present in any casino game, there are a few casino tips to be aware of to assist in turning a profit. Take Advantage Of Bonuses – Particularly those that do not require a deposit to claim. Although bonuses do come with wagering requirements, if they do not require a deposit and are played strategically, they can be profitable. Quit While You’re Ahead – As mentioned, the longer a player engages in a particular game, the more likely they are to lose. This can often be difficult to counter with the excitement of casino games, particularly for players that feel they are on a ‘winning streak’. However, it is always best to walk away when a profit has been made, alternatively players may wish to withdraw their initial funds and continue playing with the profit they have made. This is probably one of the safest ways to gamble by minimising loses.